Social game-maker Zynga has begun to part ways from Facebook, the platform on which it struck casual gaming gold with Farmville. Facebook is restricting Zynga's Facebook-ability from March 2012, meaning we'll see less Zynga promotion on the social network bringing the company more in line with other Facebook game providers. Facebook's statement explains that this is simply a matter of "streamlining" the terms between the two companies. "We have streamlined our terms with Zynga so that Zynga.com's use of Facebook Platform is governed by the same policies as the rest of the ecosystem," Facebook said. "We will continue to work with Zynga, just as we do with developers of all sizes." However, relations between the two companies have been strained since Zynga unveiled its own gaming portal away from Facebook, especially since it emerged that Facebook was reliant on Zynga to the tune of $445 million per year. Before Facebook went public in May, that amounted to 12 per cent of its total income for the year. 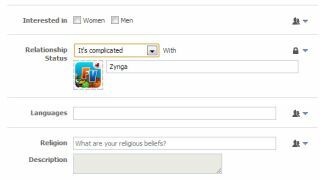 This hasn't been Zynga's greatest year though – it blew millions of dollars on the hugely faddish Draw Something while reporting ever-lower user figures and rumblings of discontent within staff ranks.